Building a house starts with a dream—but then comes the deal. 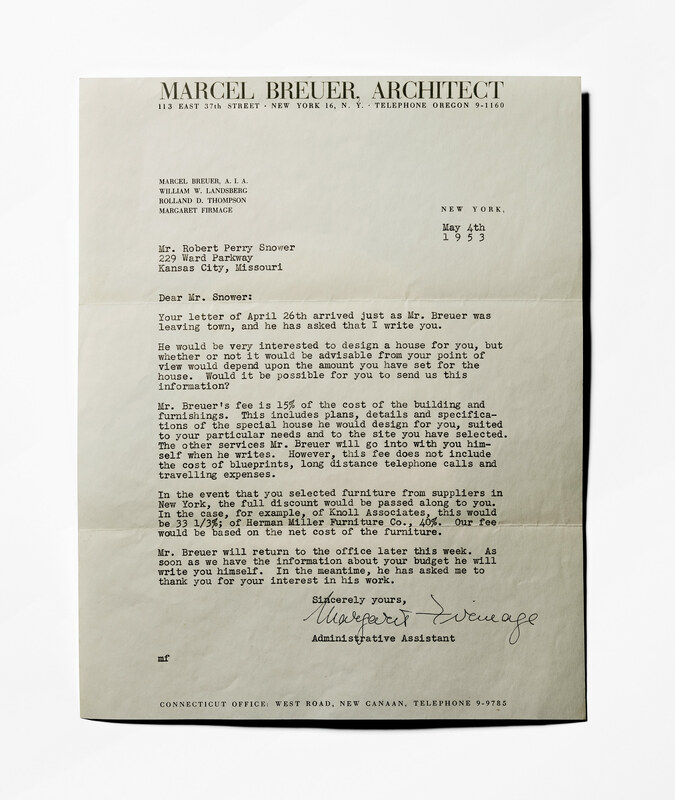 This letter from the office of Marcel Breuer to a potential client details his fees, revealing the process that unfolds before the first sketch is even made. The resulting project, Kansas City’s Snower House, was completed a year later.